Learning how to use Italian public transportation as a tourist may seem intimidating at first, especially if you do not speak the language. I’m going to share with you all you need to know before your trip. My trip to Italy certainly came with some bumps in the road (Yes, that’s a transportation pun…sorry). 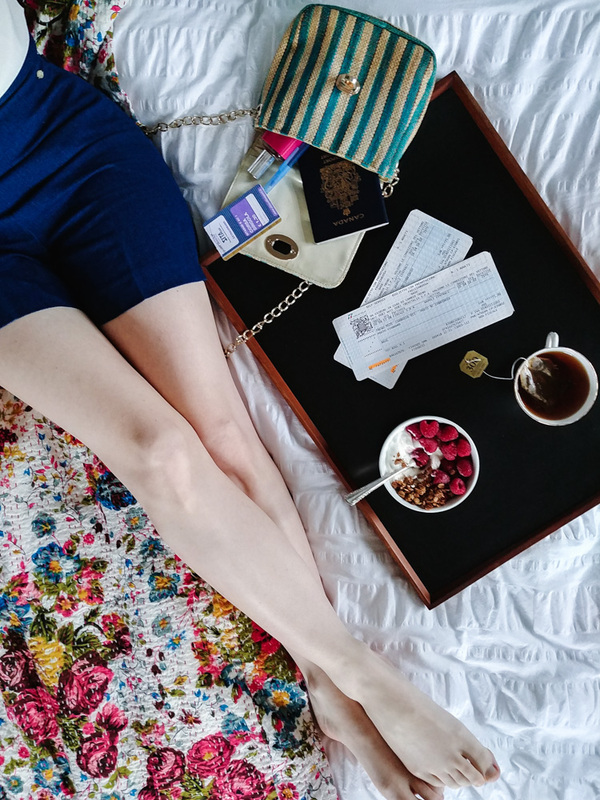 But after reading this guide, you should be able to bravely master traveling in Italy AND hopefully save a little money too. For reference, I live in a small town in Newfoundland, that does NOT have public transportation. So if I can do it, you better believe you can too! The Italian train system offers passengers travel between many cities and towns by regionale, intercity and fast trains. There are two companies, a government run company called Trenitalia, and a private company called Italiotreno. Trenitalia provides more routes, offering regionale trains and high-speed trains, while Italiotreno offers only high-speed trains between major cities. Tickets are purchased in the train stations at kiosks or counters, or are bought online. Kiosks are faster than the counters, have the option of choosing your preferred language (Italian, French, English and Deutsche), and there is an employee nearby to help if you are having trouble. Only accept help from someone wearing a uniform; pick pockets will prey on tourists. Purchasing tickets online is usually the cheapest option when bought in advance. But beware, they are hard to exchange if you miss a train and you could be out the fare. We found it helped to plan the trip out via google maps before buying the tickets. This way you’ll know if you can get to your destination entirely by train. Beware though, google maps gives the shortest route and does not specify between high-speed trains and regular trains. Meaning when you buy your tickets, it might cost a lot more than expected to stay on schedule, or you could end up with a longer journey than planned. I only got the Metro in Milan once on my trip, so my knowledge is limited, but I do know that you buy your tickets at newsstands and/or convenience stores. Google maps kept referring to the station we needed to go to as “Milano centrale”, but on the metro platform it was referred to as “Centrale FS”. We were a bit unsure if this was our stop, so we asked for help and all was well! Also, hold on to your tickets, you’ll need them to exit the platform at your destination. Same as the Metro, you purchase these in convenience stores or at booths in train stations. It helps to write down the destination and what time you’d like to catch the bus, so you can show the sales person. Tickets can be purchased directly on the bus sometimes, but it will cost more money. For instance, we purchased a ticket from Florence to Panzano that cost €7 per person. When we left two days later via the same route, all the stores were closed and we hadn’t thought to purchase a ticket in advance. So we bought it on the bus at a cost of €10 per person. Keep in mind this doesn’t always work. In Ravello for instance, they do not sell tickets on the bus. So it’s a good idea to ask a local where you can buy tickets beforehand, both to save money and potential hassle. For bus tickets: you MUST validate all bus tickets right after boarding. There’s a little machine at the front of the bus where you insert the ticket, which then stamps the date and time on the ticket. Bus tickets in Italy do not specify times. If you do not validate your ticket, they will assume you are trying to scam them and reuse the ticket. You may end up with a fine. For train tickets: if you do not have a date/time/seat number on your ticket, you MUST validate your ticket prior to boarding at a machine along the wall (such is the case from Pisa to Florence). Machines are green & white or yellow in colour, and may be hard to find or out of order. If this is the case, find a worker on the platform for help (be sure they are wearing a company vest). There is a hefty €50 fine if your ticket isn’t validated. So if all else fails, find a ticket inspector immediately after boarding to validate it for you, or write the date and time on the ticket yourself (though this doesn’t always work). 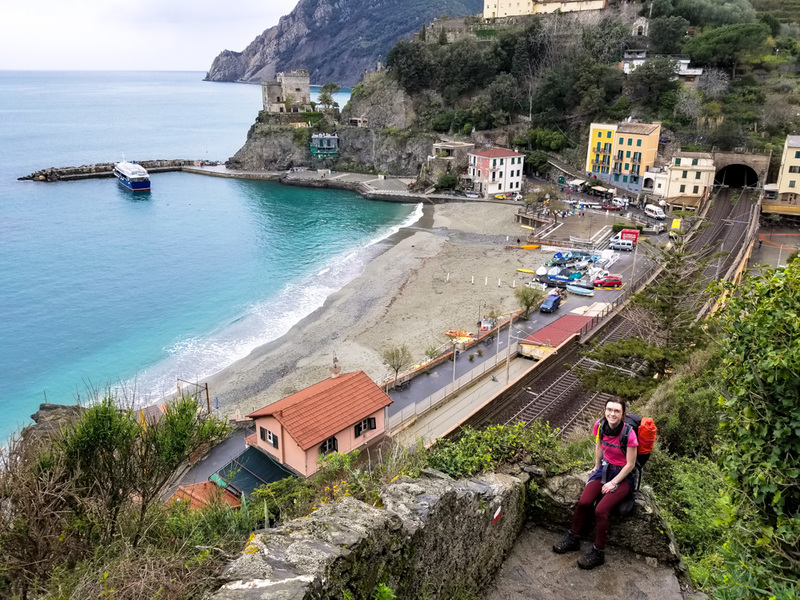 Cinque Terre passes only need to be validated once and are then good for unlimited train use for 1 to 3 days, depending on what you purchased. -Google maps was a great help for figuring out times of local buses/trains in big cities. We did have data on our phone, and we recommend having it if you plan on using public transportation. -For walking around, download a map of the city you are visiting from google maps onto your phone. You can use it offline to help you walk in the right direction to specific landmarks or sites. It will save you using your data. -Wave down buses!! This was a big one for us, since we both don’t live in large cities. The bus will likely drive right past if you do not wave it down. Unless you are at a major station, the buses won’t automatically stop because you are standing at a bus stop. Learned this one the hard way. -Beware of how much luggage you bring if getting buses between destinations. The bus from Salerno to Amalfi Town did not open the compartments under the bus for luggage, so we had to sit on the bus with our bags on our laps. Not gonna lie, it was a bit uncomfortable for the hour long drive. I’m sure they would open them if you asked, but we only had small luggage so we didn’t bother.